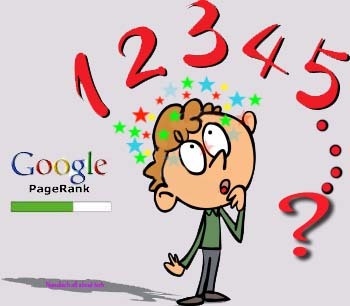 How to get ready for next google Page ranking update.........? By this time lot of people discussing about the next PR update of the google. Sometimes you may have some hopes about the increasing of your page rank. But after introducing the products like Google panda and penguin some are afraid that they may have to get penalize by google. However I think that this is high time to concern about your next PR update on end of July 2012, which is doing after the the beginning of May 2012. What is the page rank...........? Page rank is a numerical value given by the google search engine to a certain web site, according to the value that has earn by the google. This is not to criticize any page but to increase effectiveness of search to reader. As google says there are several things you can do to increase your page ranking with out black hat backlinks. And they hope the natural build up of traffic. What are the things you should do to get good page rank in this update......? 1.Write a well planed posts. 2.Write at least 500, 600 word articles. 3.Write about thing you are expert. 8.Show the several reference to confirm your data. 9.Don't use copy paste data and write your own unique post. 10.Share them where it is possible like syndicates, blog magazines, social media. Second thing is it's links. Though some people says that this is first I give this the second place. Even though your page has more backlinks, you may have low PR even you may have removed from google PR. This is because the progression of link building. As I mention earlier google thinks that it should get backlinks slowly. There are also some important things you have to concern. 1.Get backliks from high ranked pages. 2.Get backlinks through guest post.3.Give some backlinks to relevant pages where ever possible. 5.Get support from your friends to share your links in social networks. 6.Exchange some backlinks among your local and global friends.7.Do not give links to pages which have panellised or blacklisted. 8.Do not use too much of automated backlinks. 10.Check your internal and external links often. Next important thing is traffic. 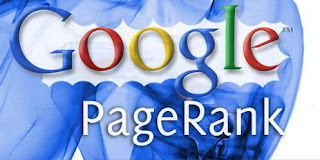 Though I mentioned this as a third if your page is actually a popular one google may give it good ranking. Because most important thing they ultimately hope is the benefit towards the readers. Although your should have optimize your site to some extent extreme optimization should be avoided to keep readers in your site who have come to you.I have discussed about traffic generation in number of times and please read them here (Blog Traffic). Google web master tool is a very important part of google service. Therefore you can use it with out any fee. As same as you add things please remove things when you have remove from your site. You can visit google web master tool here. Also I have to mention that though these are important things you have to increase your PR according to your experience.I hope all you would get good PR in this update. Nice post! I don't jump PR 2 turns ago :D Hope next turn i will reach PR 5. ^^! If you can come to such state I too happy friend. wish you too..
Nice post. I agree with Thương Lee. At least jump to PR 3. Interesting blog covering with valuable information, but these days some people don't get good position due to quality and legitimate work. when logarithms update it bring definitely huge changes..
nice post. you are right.